B-Line Horizontal bend barrier has a side rail height of 4-inches and loading depth of 3-inches. The 72-Inch barrier is flexible to fit any horizontal fitting radius and can be cut to required length. It includes three #10 x 1/2-Inch zinc-plated self drilling screws and 99-9982 barrier strip splice. 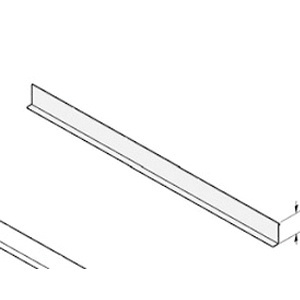 The horizontal bent barrier is suitable for use with series 2, 3, 4 and 5 aluminum straight sections.